V. C. J. Perera, or Jayantha Perera as he is called by friends, has worked in tourism for over three decades, but he is better known to many as an astrologer. While astrology has its critics and adherents, he may be best known in that sphere for his association with the Kandalama Hotel. Its construction was based on a calculation by him and went on to become a success despite getting off to a very rocky start. Angoda sita Romayata (From Angoda to Rome) is a biographical account of his life travels. Fresh out of school, Jayantha Perera travelled to Italy. "It also includes a glossary of 700 Italian words and their meanings in Sinhala The book includes many photographs, in both colour and black and white"
He was prompted to do this, naturally enough, by an astrological prediction. 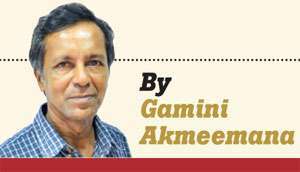 It seems almost beyond belief that in 1975 when he landed in Rome, Sri Lankans could enter Italy and spend up to a month without a visa. The book starts with details of his family life, school days at Wesley College and Ananda College, Colombo, and provides an interesting account of what it was like to leave one’s country of birth with very little money (due to currency restrictions of the era) and what it was like to an Asian in Europe. 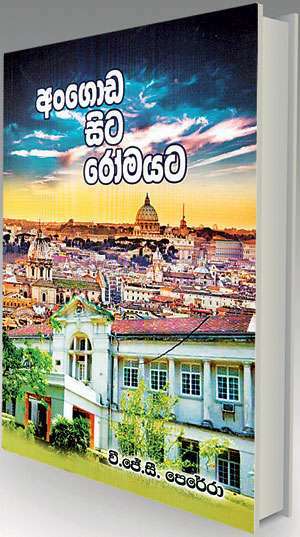 It also includes a glossary of 700 Italian words and their meanings in Sinhala. From 1975 to 1976, Jayantha Perera lived in England. After returning to Sri Lanka, he worked at computer jobs until starting his career as an Italian and English-speaking national tourist guide in 1988, which he continues to this day. The book contains his experiences in tourism, not all of it positive. Throughout the book, he engages in a debate of how chance and fate play a part in one’s life, including chance encounters with people which can change one’s destiny. The book includes many photographs, in both colour and black and white. It is priced at Rs. 350 and is published and distributed by Ora Lanka Publishers, 187, Delgahawatte, Angoda. "The book contains his experiences in tourism, not all of it positive. Throughout the book, he engages in a debate of how chance and fate play a part in one’s life, including chance encounters with people which can change one’s destiny"